Recysmart system is an easy-to-implement waste container device and mobile app that interacts with citizens offering an incentive system in order to increase packaging recycling rates by 15%. 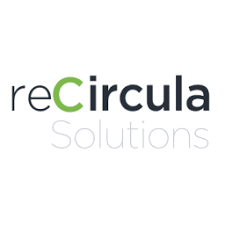 reCircula created the Recysmart system, the key piece of the project since it is responsible for recognizing type material packaging and quantity. Citizens are rewarded for recycling thanks to our incentives portfolio. Eighty-four mT of domestic packaging waste are produced yearly in Europe and 40% is being incinerated& landfilled causing 10.64 mT of CO2 and losses of €5,199 million. The main causes of low recycling rates stem from citizens’ lack of involvement. RecySmart system that is an easy-to-implement waste container device and mobile app that interacts with citizens offering an incentive system in order to increase packaging recycling rates by 15%. The system is the key piece of the project since it is responsible for recognizing the type of material packaging and others and hosting to RecySmart platform. The purpose of this platform is to integrate all the information obtained from the RecySmart device. RecySmart is able to increase packaging recycling rates by 15%.